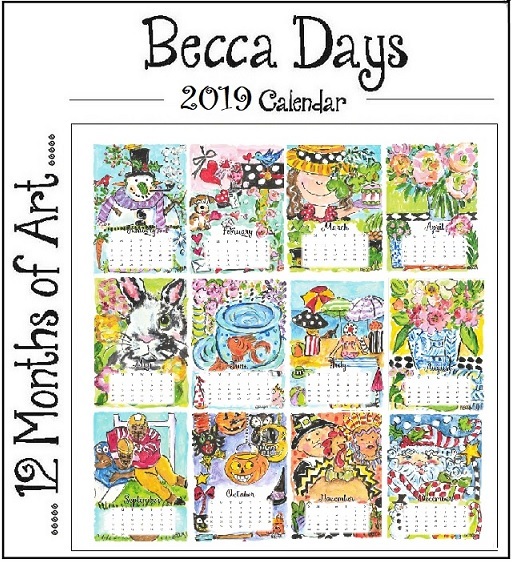 Our Exclusive Becca Days Calendar are 5x7 cards with 12 whimsical months of Art by Becca. The fit in a magnetic Luicte Frame or any 5x7 Stand up Frame. Great keepsakes to give year after year! 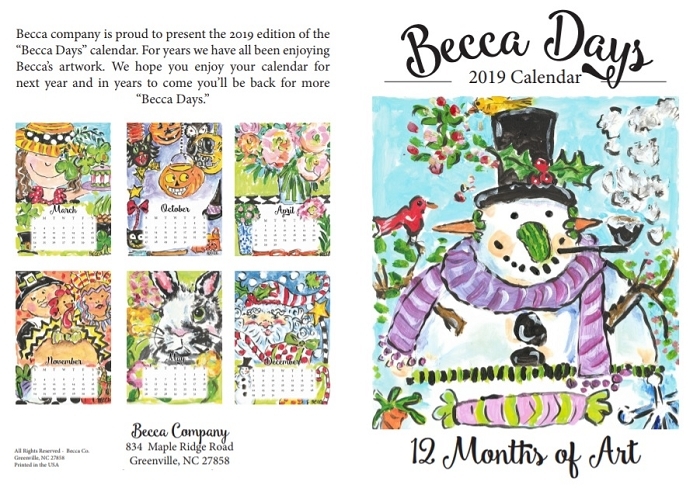 Artist Becca Speight lives in Greenville, NC with her husband & family creating happy whimiscal & artistic expressions! I order these every year- the recipients love them!! !